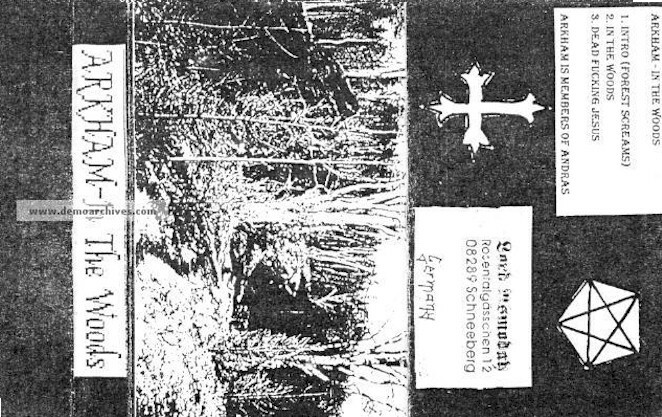 Black metal band from Schneeberg (Germany). They have released only one demo in 1995 called "In the Woods" before they split-up. However, the band came back together lately and now work on new material. One member, Lord Asmoday is also a member of Andras, Demoniac (Ger) and Purulent Obduction. Xerox cover with a commercial tape.